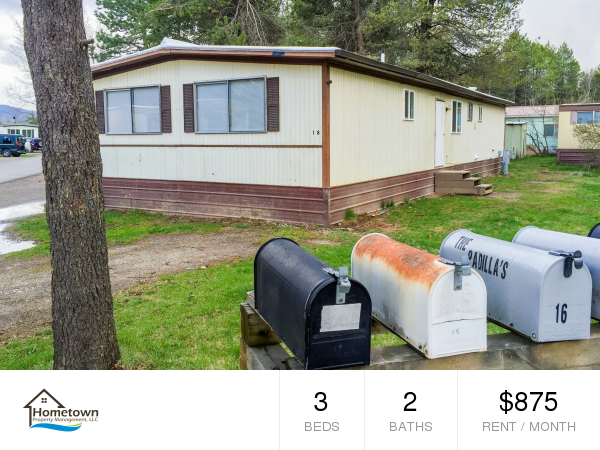 Two bedroom one bath unit in Priest River just blocks from shopping and dining opportunities and access to Highway 57 as well as Highway 2. Inside the unit, you’ll be greeted by an open floor plan with the kitchen, dining, and living room at the front of the unit. This upstairs unit features a large front porch, perfect for sitting on our beautiful summer evenings. Kitchen amenities include ample cabinet and counter space, refrigerator, range/oven. 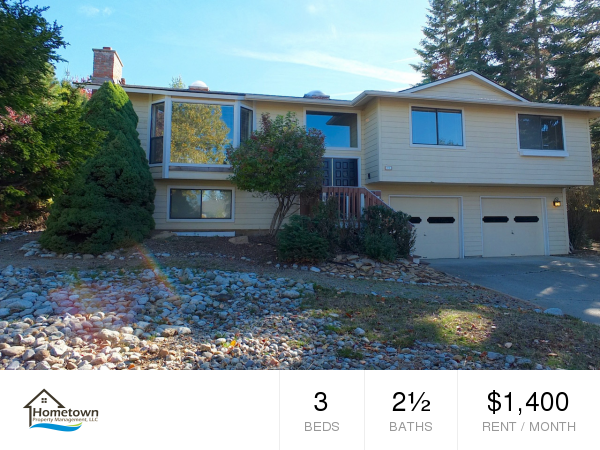 Two bedrooms with large windows allow for plenty of natural light. The bathroom has a tub/shower combo. Pets considered on a case by case basis with owner approval. Enjoy affordable living near Sandpoint with this newly remodeled manufactured home! New paint, carpet, vinyl flooring, kitchen countertops, and light fixtures throughout. Three bedrooms and two bathrooms with an office area off of the living room. Nice size master bedroom with laminate floors and en-suite bathroom. The large kitchen includes a refrigerator, range/oven, dishwasher, ample cabinets, and access to the dining room and office. The living room has laminate wood floors. Heat is provided by a forced air furnace. Laundry room includes a washer and dryer. Rent includes park space rent, water, and sewer. Storage shed in the back yard. Move-in ready! Conveniently located in Sagle just south of the Long Bridge in the Travel America Park. Welcome home! This spacious 3 bed 2 1/2 bath home in the Woodland Heights Subdivision is awaiting your arrival. The split entry floor plan features a master suite with double closets and a sliding glass door leading out to the deck, two additional bedrooms, two full bathrooms with tiled showers and a half bathroom with washer/dryer hookups. The living room has a large bay window, a vaulted ceiling, skylights and a wood fireplace. Not the right season or just not in the mood to light up a fire? You’ll have that option with a natural gas forced air furnace for winter nights and an A/C unit for the summer heat. Kitchen amenities include granite counters, tiled backsplash, plentiful cabinets, a built in roll top desk, a breakfast bar, dishwasher, range/oven, microwave and refrigerator. The dining room off the kitchen has a sliding glass door leading to the elevated deck overlooking the terraced backyard. A gas grill is perfect for cooking on those warm summer nights. Set up a few lawn chairs around the fire pit out back and you have the perfect setting for a great night with family or friends. Need to bring the gathering inside? Welcome your guests into the family room downstairs with a wood stove and plenty of room to mingle. Keep your four wheeled investments safe in the finished over-sized two car garage with storage shelves and electric door openers.